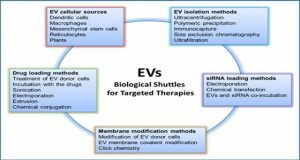 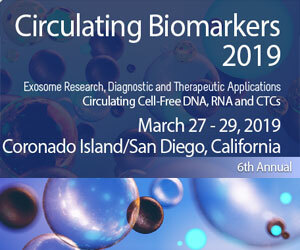 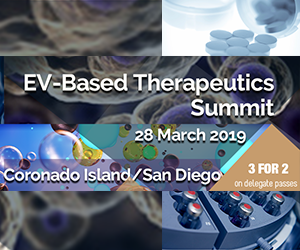 Exosomes are extracellular vesicles that can transfer biological information over long distances affecting normal and pathological processes throughout organism. 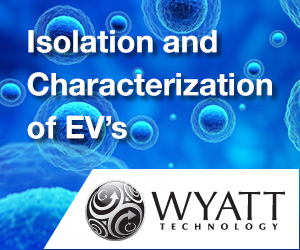 It is known that very often composition and therapeutic properties of exosomes depends on cell type and its physiological state. 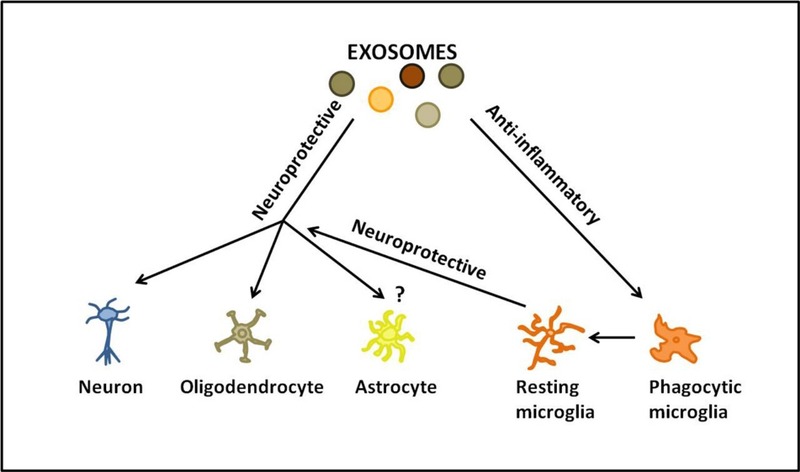 Thus, depending on tissue of origin and physiological context exosomes may act as promoters, or suppressors of pathological processes in CNS. 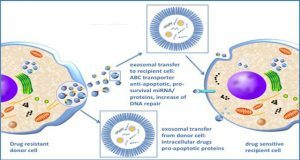 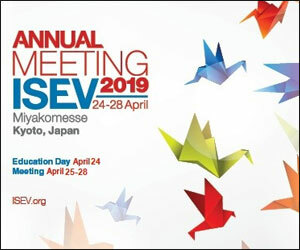 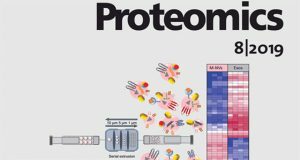 From the therapeutic perspective, the most promising cellular sources of exosomes are mesenchymal stem cells, dendritic cells and inducible pluripotent stem cells. 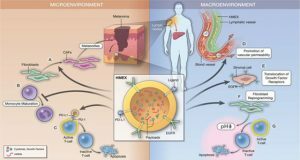 New therapies for the neurodegenerative disorders are often halted by the inability of drugs to cross blood-brain barrier. 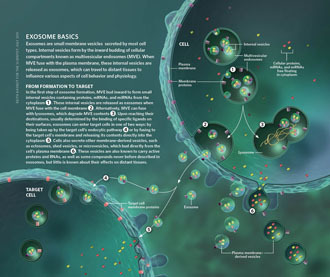 In this respect exosomes have a critical advantage, because they can cross blood-brain barrier. 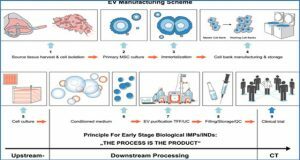 Despite the great importance, surprisingly little is known about mechanistic details of this process.